It rained. And rained. And rained. Just when I was about to download Arc Building for Dummies, it stopped raining. The sun never did come out. 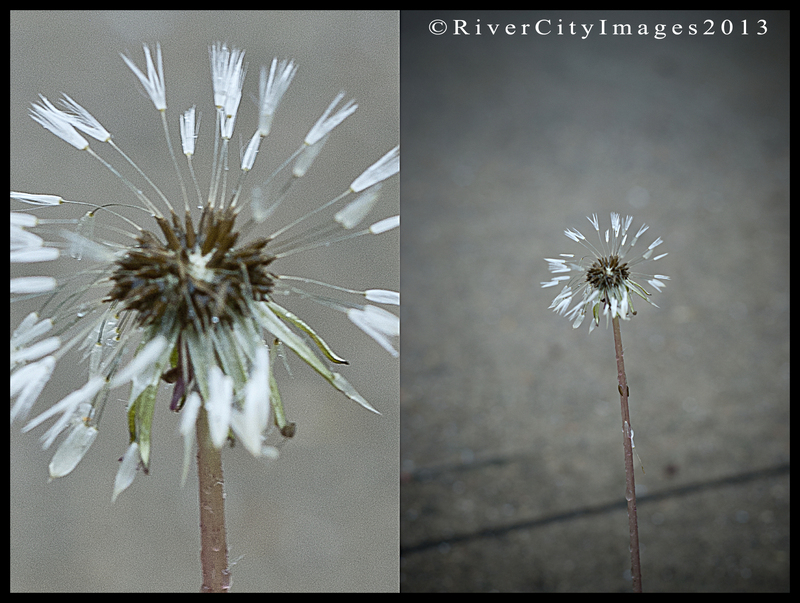 On one mushy trek through the yard to get the mail, I noticed how cool the dandelions looked. 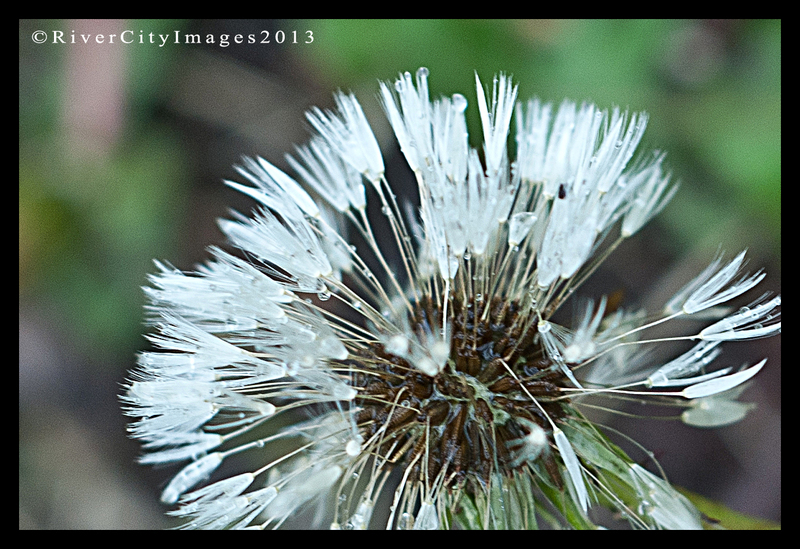 If you’ve been around for a while, then you know that I just adore dandelions. 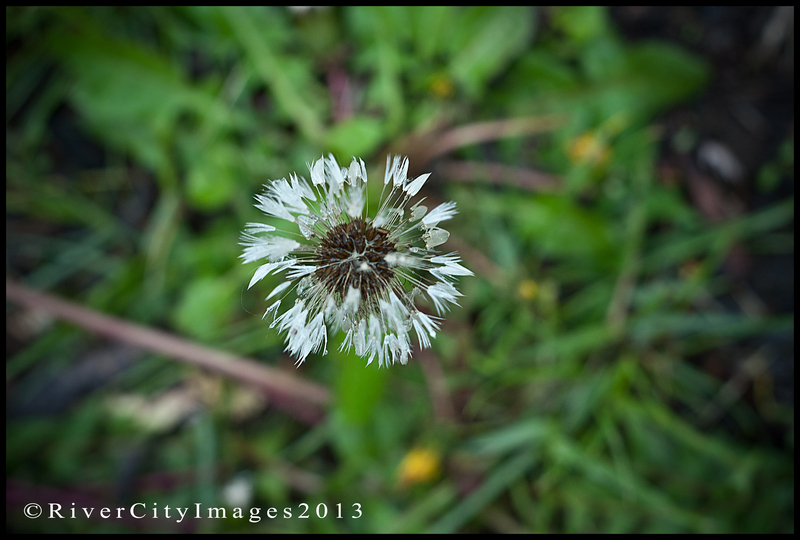 Yes, they are weeds, but they are weeds that you wish on! Is there anything cooler than growing wishes in your back yard?!?! I don’t think so! Still waiting for a perfect macro lens to fall into my lap. 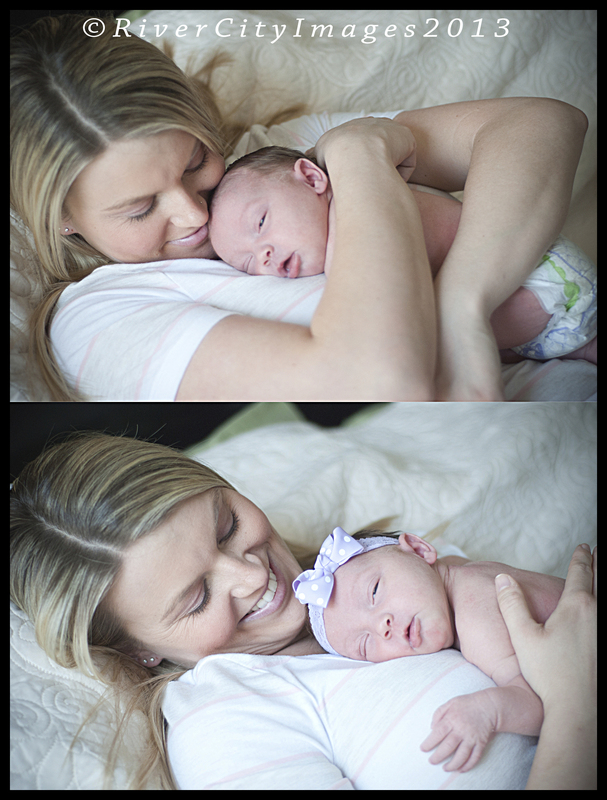 These were shot with my dusty, trusty 50mm. Oh, and my D80. Because sometimes I just don’t feel like hauling out the big guns. You know how it is. 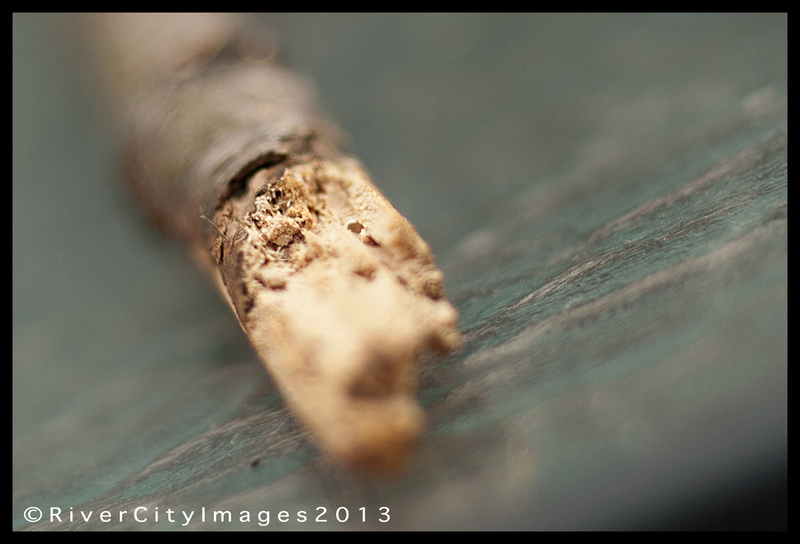 I read somewhere last week that you could use a 50mm lens as a macro lens. All you have to do is take it off your camera and turn it around. 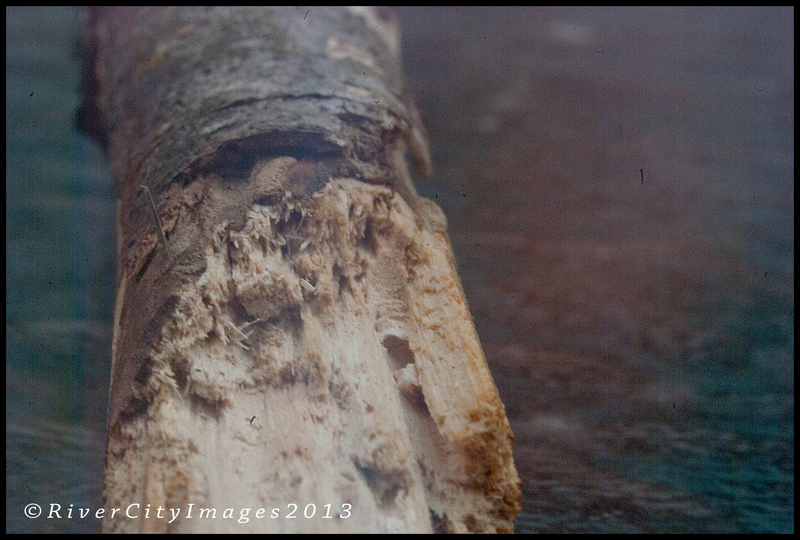 Here is the image of the end of a tree branch that had snapped off in the wind this morning. 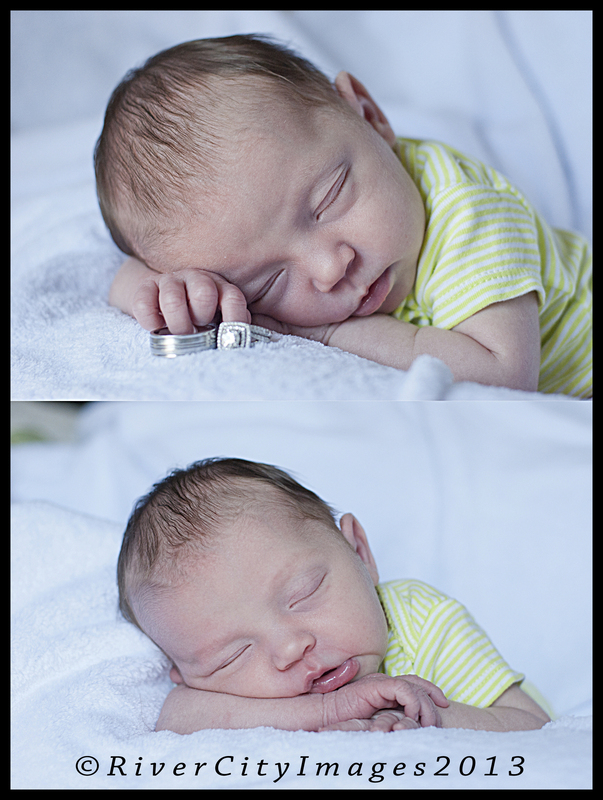 And here is the same photos, but with the lens properly mounted on the camera. I had to zoom in post-production, but you get the general idea. Thanks for checking out this week’s #TinyTuesday! How about some tiny fingers and toes for today’s Tiny Tuesday? As you know, yesterday was our 3rd Birthday, and what better way to celebrate than with tater tots and a beautiful newborn?!?! Capri James is a sweet as can be. She is picture perfect, just look! And, because I am SUCH an overachiever, here is a super awesome video! Yay! 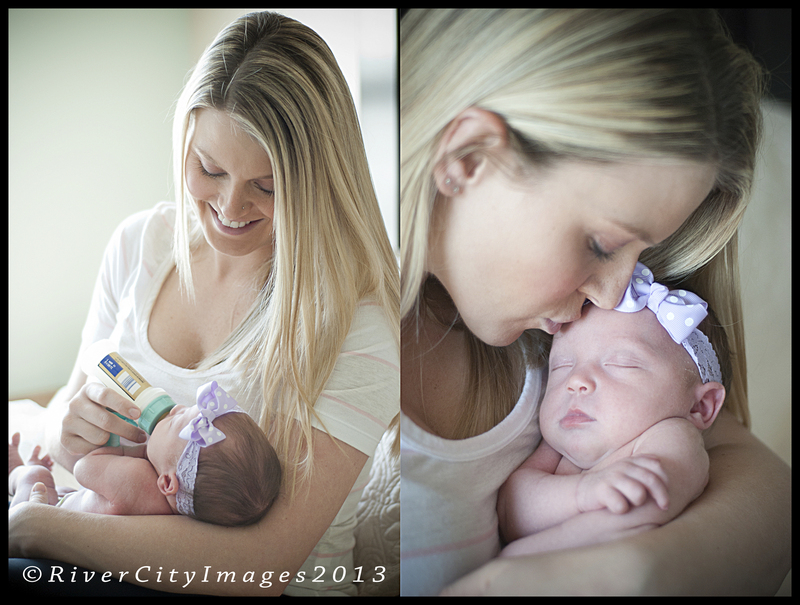 Three years ago today, River City Images came into existence. I chose April Fools Day to launch my company on purpose. I figured that only a fool would start a business in such a terrible economy. I’m feeling very sentimental today. There have been more ups than downs, and RCI has been blessed to collect some of the most amazing clients in the world. The RCI family has grown in the last three years and I can’t wait to see where we go from here! I want to thank you all. For your support, love and friendship. To show our appreciation, it’s contest time!!!! Go to our Facebook Page and ‘Like’ us, there will be a link there to this blog entry. Like and Share that post and you will be entered to win the BIGGEST prize we’ve ever come up with!!! Want to enter more than once? That’s cool! You can repeat the process once per day until noon on the 7th! Just make sure you drop us a line on our FB page letting us know that you shared the link again. 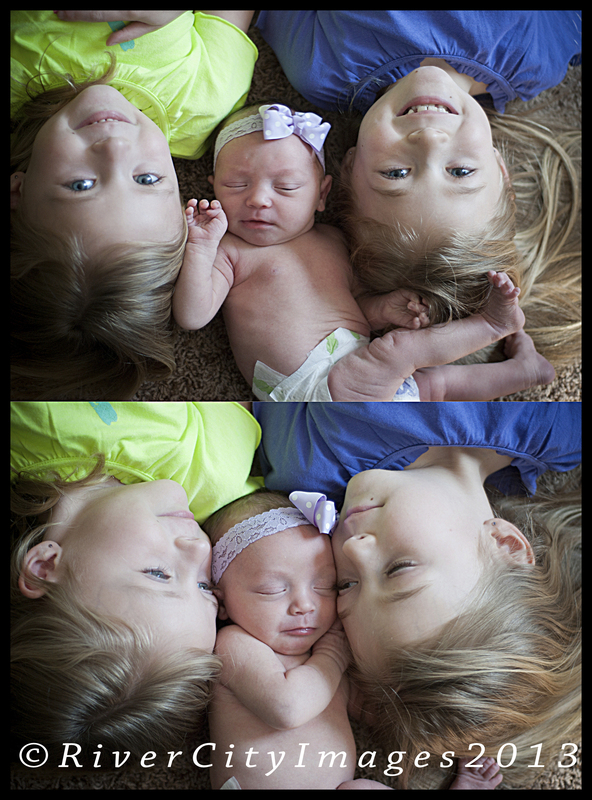 1 person will win not one, not two, but THREE separate photo sessions* during 2013, plus a Keepsake DVD of all three sessions combined at the end of the year! Contest ends on noon Sunday, April 7, 2013. The drawing will take place at 7pm Sunday night. I’ll post the video here and on Facebook, so stay tuned!!! Holy Moly… I know, I can hardly believe it either! Now go read the fine print and enter to win!!! *Fine Print: This contest is limited to people in the Greater St. Louis area. If you are 40 miles outside of Fenton, then you may not participate. **Fine Print: This contest is for standard photo sessions only and excludes Engagements, Weddings, Corporate shoots, Birth Photography and Events. Limit 6 people per shoot. Additional persons subject to a $30 fee per person.